To get from Point A to Point B in Denver, people can drive themselves, take the bus or walk. But increasingly there are more options, and not just in Denver. Most of the new and sort-of-new services could only exist in the Internet age. Some, including Car2Go, Zipcar and OccasionalCar, allow people to borrow cars. 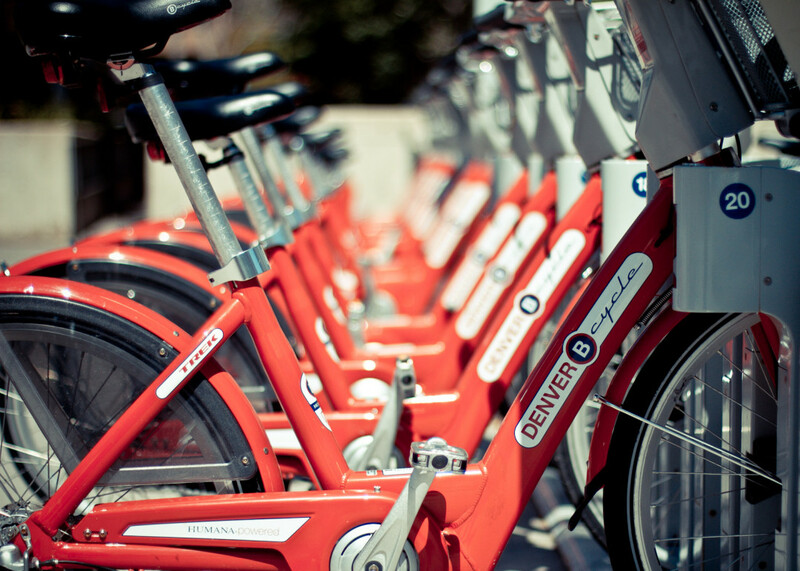 B-cycle lends out bikes. And so-called ride-sharing services, such as UberX and Lyft, offer rides in strangers’ cars. They all employ smartphone applications, and while some don’t require customers to use apps, doing so makes using the services easier. And all of these services are part of the most radical shift in transportation since cars became commonplace. Susan Shaheen, co-director of the Transportation Sustainability Research Center at the University of California, Berkeley, says that on average nationally, membership in all the new services grew about 25 percent a year from 2008 to 2013. She expects growth will continue in a few ways: the number of services, the number of people using them, and the number of places they’re available.